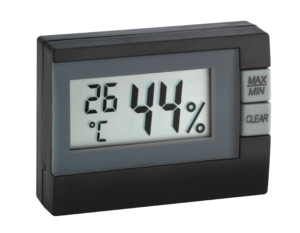 Ideal for climate control in terrariums, etc. 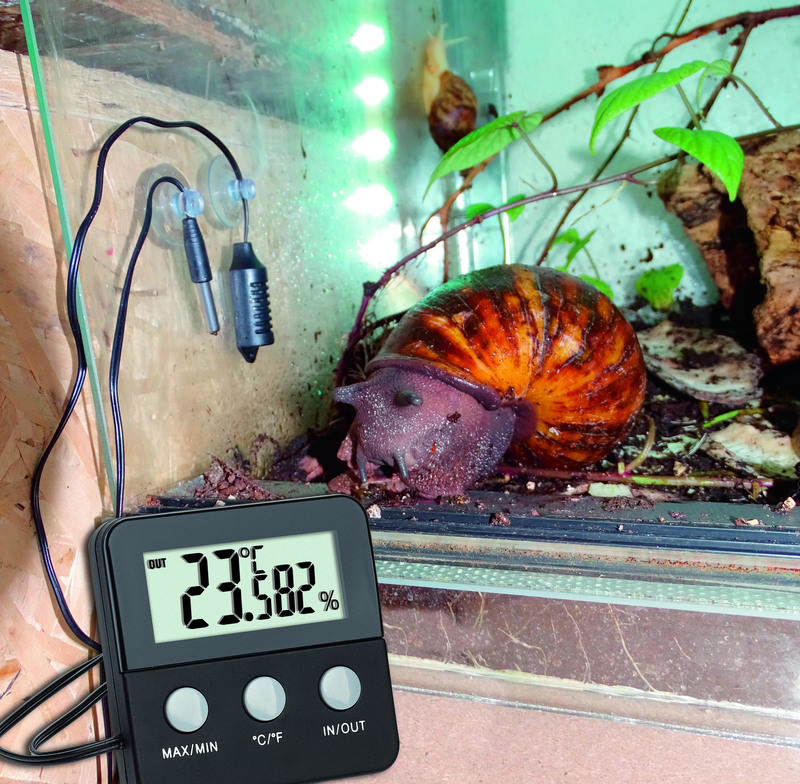 Reptiles and amphibians cannot regulate their body temperature themselves – they depend on the climatic conditions that you provide them in the terrarium. 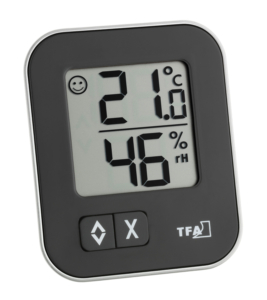 Therefore, climate control is fundamentaly important when keeping terrarium animals. 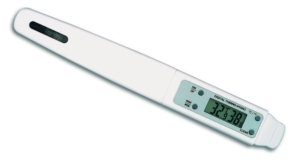 The "TERRACHECK" from TFA Dostmann is there so that you can guarantee the best possible conditions for your pets. 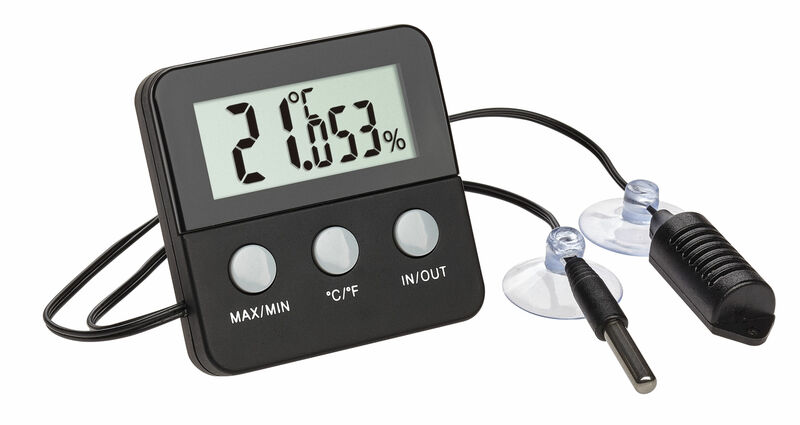 The digital thermo-hygrometer measures temperature and humidity via two separate cable sensors and these can be easily attached to your terrarium glass with the suction cups provided. It’s just as easy to remove the device for cleaning. 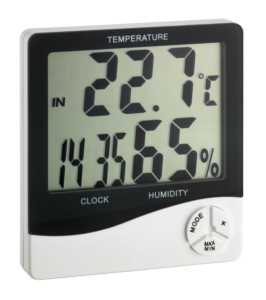 You always have the current measured values in view on the easy-to-read display and the highest and lowest values are also shown. 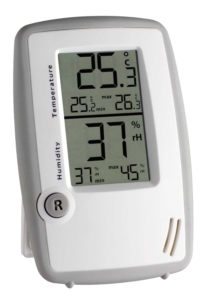 In addition to the climate in the terrarium, you can also see the temperature at the device’s installation site. This way, you can simultaneously ensure a pleasant climate in your living space. 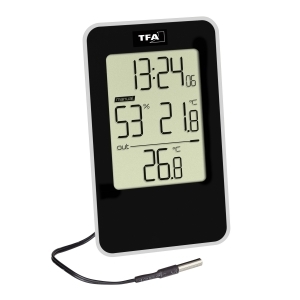 Ideal for the climate monitoring of a terrarium etc.